Not gonna happen. None of the others had their names changed. Not to be too nit picky but they actually have Dragonball Kai in Japan, but in the Americas it's Dragonball Z Kai. So while it's not drastically changed, they did feel that the 'Z' had to be present to link it back. Although, if I'm mistaken, feel free to correct me. Dragon Ball Kai is the name in Japan. Dragon Ball Z Kai is for international distribution. Hopefully Tien settles down and finds Launch. That would be such a good addition and a perfect way to bring back a classic character. Less Goten and Trunks, more Gohan and a return of Future Trunks. Piccolo should not retire by any means. Also, why are we discussing Pan? She'll be a baby and toddler in the series since she was hardly past a toddler at the 28th World Tournament. She should be a non factor in DBS and with good reason. She was awful in GT...not that that has any influence on this though. I wonder if they will acknowledge any of the Dragonball Heroes material. Less Goten and Trunks, more Gohan and a return of Future Trunks. THIS! Goten and Trunks need to take the backseat in this series! They have overshadowed all the other characters lately. On another note I wonder if Goku and Vegeta will fuse in this series. Super Saiyan God Super Saiyan Gogeta anyone? Toriyama hasn't had a hand in Heroes, so I doubt he would ever refer to any of its content for inspiration. no less Goten and Trunks. I want to see more of them, BUT, I want them to have some character developments. since we first saw them they always were the two best friend, the rich guy and the kid goku look-alike guy. they were only there for the comic relief, and I'd like to see more of them. and I really want to see Yamcha and Tien finding girlfriends and maybe getting married. Sad to say Bruce Faulconer may not ever see the light of Dragonball day again, but how cool would it be for him to work with the eventual English dub? That would be a dream come true. Yes. Yes. Yes. A thousand yeses! I love Faulconer's music, it would be so nice if the option was at least available for his score in the new stuff. It's such a pity that we will never get pieces like Vegeta's themes or SS3 Goku's theme ever again. As you said, it's pretty much never gonna happen when factoring in Faulconer and Funimation already have a very brittle relationship as it is + replacement scores as a big no-no for modern anime dubbing. Truth is, Mr Faulconer himself is only responsible for 4 - 5 tracks at the most. Everything else were composed and written by others, so it's technically not even right to call it his score in the first place. Toddler Pan, the Super Saiyan God Super Saiyan. I will call this Dragonball S. Hopefully all of you will too, so it sticks lol Dragonball Super reminds me too much of Dragonball Online and Dragonball Heroes. Even though they are not new series; just like their names, "Super" is not catchy at all. In Sailor Moon there was such endings: Sailor Moon R, Sailor Moon S, Sailor Moon Super S and Sailor Moon Sailor Stars. Why then do not Dragonball Super Z , sounds better than just this Super! Perhaps there Pan from the future at the same time machine as it was Trunks, as a young Super Saiyan Girl and announced some catastrophe for humanity. Would be nothing new for us, so uninteresting. 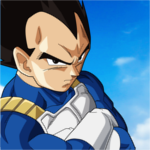 if only full blooded saiyans can go SS3 then how Gotenks became SS3? he is only half saiyan. Yes, but a half Saiyan + a half Saiyan is a whole Saiyan. So it fits again! I have only just seen your discussion! between you and darksenshi! Well you can twist it how you want it. Ultimately, Gotenks can transform into a SS3. Regardless than 20%, 40%, 80% or 100% Saiyan! Another question occupied me, to Gotenks could merge with Gogeta? Would certainly be funny. I don't want them to introduce a brand new female character, just to fridge her so Goku can get yet another new form. That would be terrible. I would be completely happy if Goku was gone most of the time, only had a cameo every now and then, and it focused on Goten, Trunks, Gohan, Pan and maybe others as the new protectors of Earth. I don't see that happening. I'm sure it will end up being like all the other series. The Goku Show, starring Goku, featuring Goku, written, directed, and produced by Goku, filmed in front of a live Goku audience. The adventures of a bunch of middle-aged men. LMFAO! Well in Z they sort of tried to put Goku in situations where he would be out of the picture for a lot of episodes. Either hurt,dead,sick,training or on his way to the scene. Many episodes were strictly building Gohan and everyone else's character. Hopefully we get a good balance of the Goku show like in Z.